Convergent Ladybugs (Hippodamia convergens) uh, um, converging. 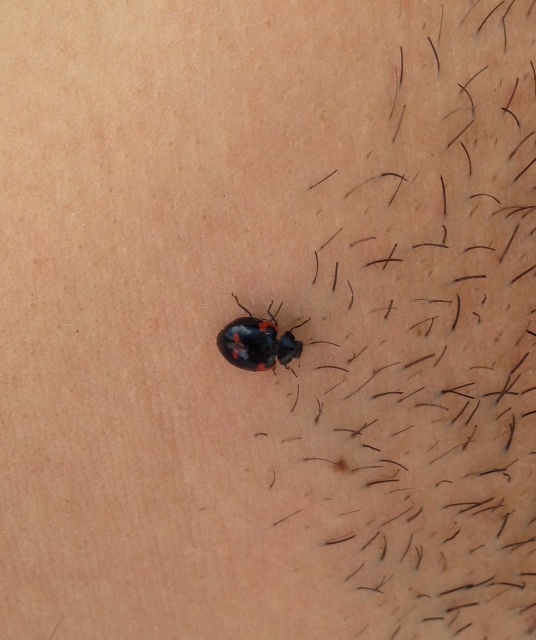 This year’s aphid boom needs more lady beetles! 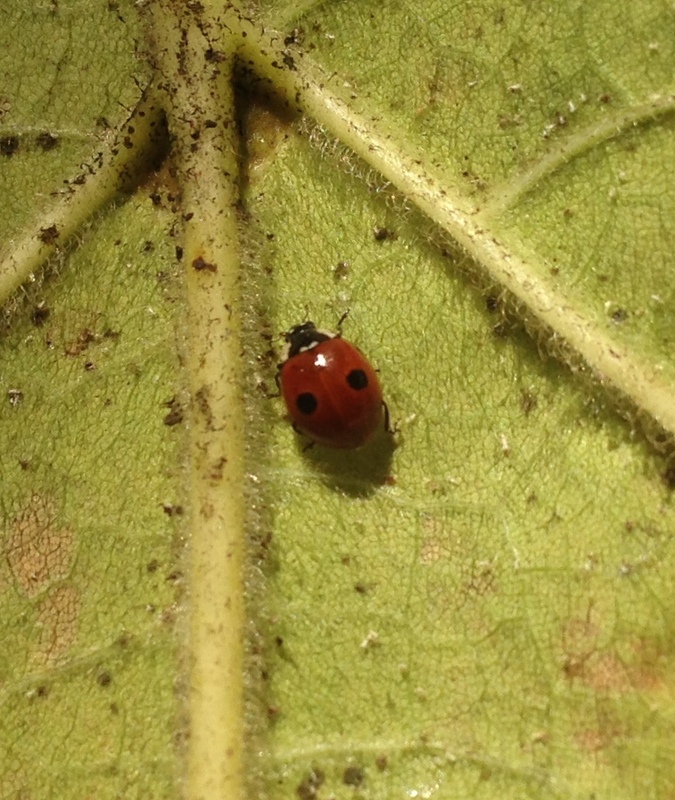 Fourteen-Spotted Ladybug (Propylea quatuordecimpunctata). This looks like a variation of the Multicolored Asian Ladybug larva (Harmonia axyridis). These last two were spotted in Flatbush Gardener’s patch during the C-9 release. The New York State insect is the Nine-spotted Ladybug, also known as C-9 (Coccinella novemnotata). 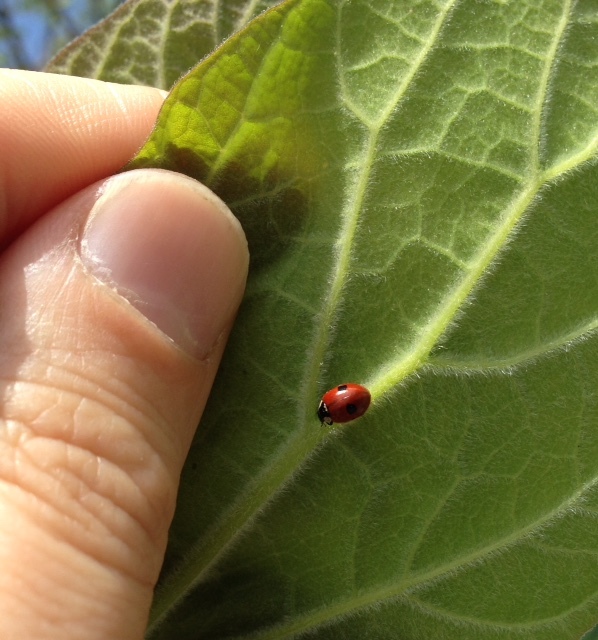 This was once one of the most common species of ladybug found on agricultural fields across North America. No more. I’ve still never seen an adult. In fact, nobody could find any in New York for more than two decades until just a few years ago. They were probably out-competed by all the introduced species of ladybugs from Eurasia or our West Coast; a reduction of habitat and, I would hazard to guess, the killing pesticides and other chemicals we spew all over everything. But Cornell’s Lost Ladybug Project, which has been using citizen scientist data to track ladybug populations, now sells C-9 larvae. Last week we joined Flatbush Gardener for a release of the larvae in his amazing Brooklyn garden. There were Multicolored Asian Ladybugs (Harmonia axyridis) in FG’s garden, so it will be interesting to see if he gets any C-9 adults who reproduce. The ones pictured above and below look like they just need to scarf up a few more aphids before they’re ready to pupate. All my ladybug posts can be found here. 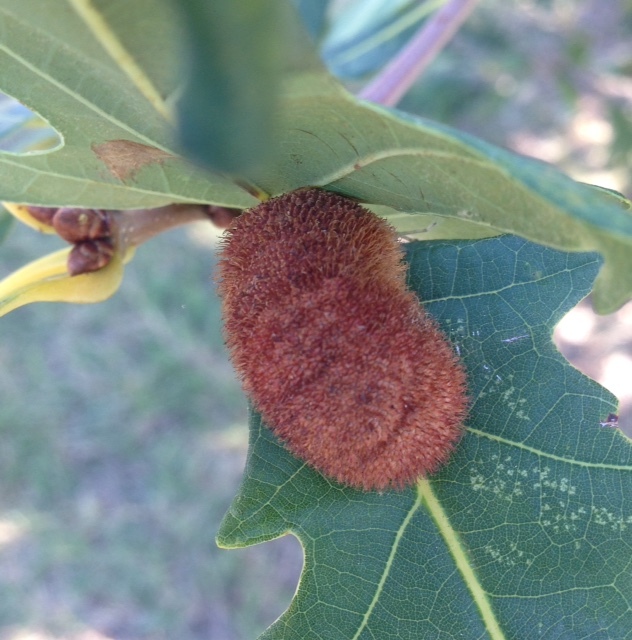 According to my own personal memory device, this is the third year I’ve noted these hedgehog galls on this White Oak (Quercus alba) in Green-Wood. This year there is a bumper crop of them. 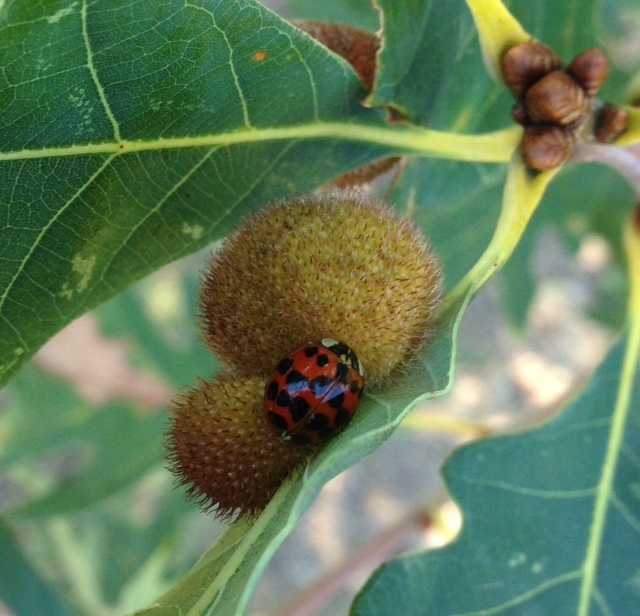 A Multicolored Asian Ladybug (Harmonia axyridis) on the galls. 1. It’s hard to focus an iPhone in the wind with one hand. 2. Looks like I need a manicure. Although I’ve have never had one, so I probably won’t ever get one. 3. Never believe anybody when they say the city is a sterile wasteland with nothing but pigeons and a surplus of rats. 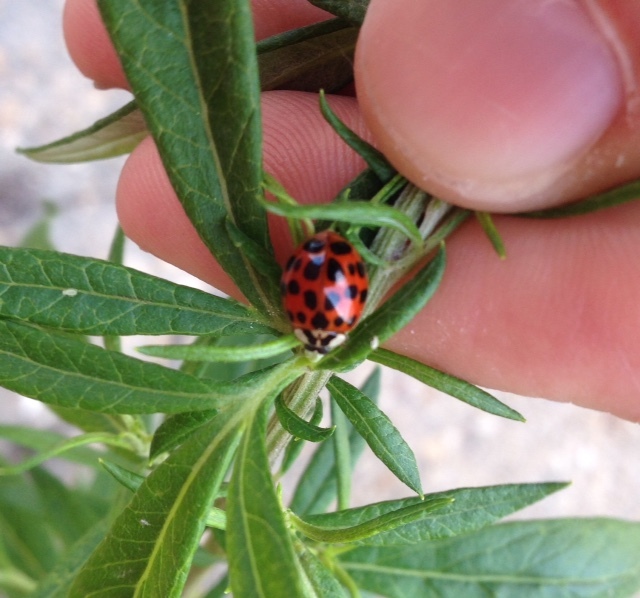 Just down the block from a Kestrel nest in the valley of the industrial-wasteland bordering the Superfund site of the Gowanus, I find a Multicolored Asian Lady beetle (Harmonia axyridis) on something growing out of the crack between sidewalk and building. 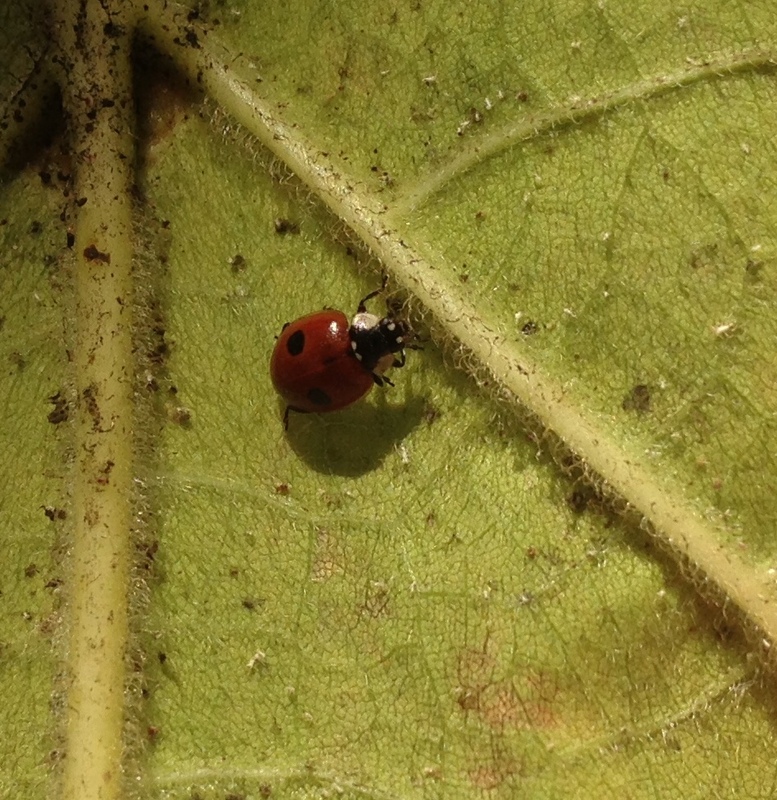 In early November, I found four adult Two-spotted Ladybeetles (Adalia bipunctata). And without looking very hard. I just stood under the tree and looked up.